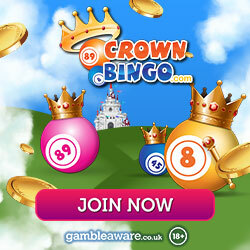 The Cash Cow Jackpot is Crown Bingo’s 90 Ball Progressive Jackpot and currently stands at over £35,256! Are you feeling lucky? If so you could be the first Cash Cow Jackpot winner if you manage to get a Full House in fewer than 30 balls. The jackpot will keep on growing until someone wins it but we’d be pretty happy with it as it stands, think what you could do with £35K?! Then it’s on to the next farmyard animal game with the Piggy Bank Jackpot. Crown Bingo has put away £1000 in their Piggy Bank and it’s sat there waiting to be won by some lucky Crown Bingo players. To win the jackpot you need to get a Full House in under 40 calls in one of Crown’s 90 Ball Bingo rooms. If you manage to do this pop an email to the team at Crown quoting your username, number of call you won on and the game’s ID at [email protected] and you’ll soon be reaping the rewards! If you take your bingo seriously and like to play for substantial sums of money sign up to Crown Bingo and try your luck breaking that Piggy Bank and milking the Cash Cow. New members get £5free bingo no deposit requiredsign up bonus, no deposit required plus 100% bonus on their first deposit up to an amazing £250! What are you waiting for? !